This is the last of the offerings at the Gala. 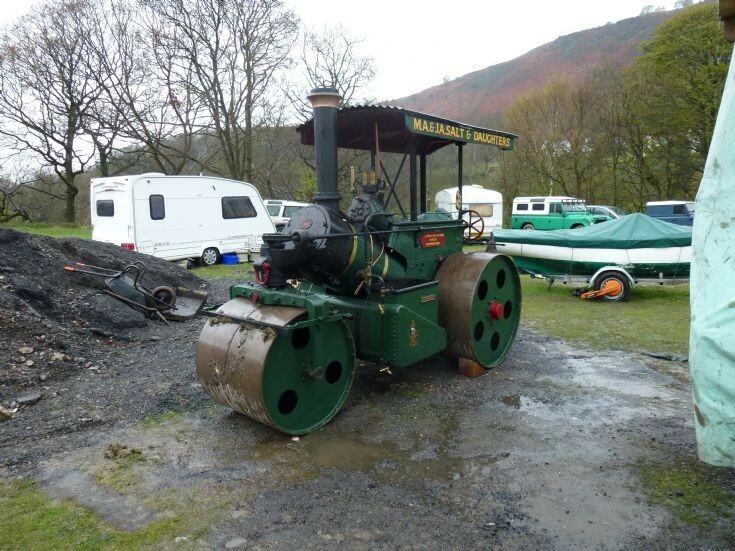 OT 5187 a 1927 built Wallis and Steevens Road Roller works number 7936. M A & J A Salt and Daughters. To my simple eyes it raises a question. The boiler appears to be at 45 degrees. Am I right and if so why?? Added by Roger Mason on 07 May 2012. Chap having problems getting up steam with a 4'' over the weekend. We pushed it so it pointed up hill so the water would be fire box end. It wasn't long after she was steaming away lovely. Added by Andrew Wright on 23 May 2012.